With an attack on a peaceful nation at the bottom of the world, white supremacists widen their violence. A few years back, some members of Christchurch’s Linwood mosque suggested installing security cameras outside. Anwar Alisaisy thought they were being ridiculous. Since immigrating to New Zealand from the Kurdish region of Iran in 2002, he’d seen no sign of trouble–not at the hairdresser’s where he worked nor at the mosque directly across the street where he prayed every Friday. “I said, ‘Nobody steals from the mosque. There’s no extremists,'” says Alisaisy. “New Zealand is the safest place.” The safety of a South Pacific island nation was not the only illusion destroyed that day. Also undone was the popular conception of international terrorism. 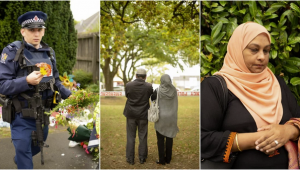 The Christchurch attacks on two mosques that took at least 50 lives established white supremacy as a threat to Western societies nearly as formidable as terrorism carried out in the name of fundamentalist Islam–and one that, if anything, appears to draw even more oxygen from the Internet. Long pigeonholed as “homegrown” or “domestic” terrorism, the violence of right-wing extremists emerged in remote New Zealand as a transnational threat. Here, a widely traveled and heavily armed Australian invoked white nationalism in the name of an international campaign against immigration. The magnitude of the attacks would have thrown the spotlight onto rightist extremism even if the killer had not streamed them on Facebook Live. The mass shooting in New Zealand is a sad, sad event. One nut job, with a disturbed notion to manipulate the media, does so and takes 50 people with him. Now, that same media is debating what should be done ... gun control of course. Which new gun law would have kept these guns out of this nut's hands? None, you are right. 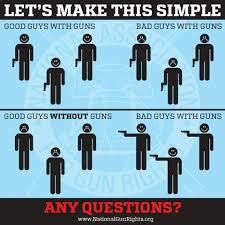 With the possible exception of gun confiscation, but even them, bad guys will still get 'illegal' guns. So, what would have helped in New Zealand? And, what will help going forward in New Zealand and elsewhere? What cost these nice people their lives was that no one was equipped for self defense. This guy had absolutely nothing to fear from these people. He knew he had the whole event to play out on his terms. When police finally arrive, he has done his dirty deed. But, if just one person was practicing self defense, was armed, this situation would have been much less tragic. One good guy with a gun, yes. But, more than that. A mindset. Self defense. Defense of me and mine is first and foremost with me. So, in a world of irrational political assaults in restaurants, at National Monuments, in college, at baseball practice, on the street, be prepared. In a world of random violence, be prepared.